September 8, 1964, Tuesday. Club Night. Pearl and I went shopping and I bought material to make skirts. Shopped all day, was so tired, came home and ate! Than picked up my sister Donna and her friend Dianne S. Went to a Saffron Meeting at Patty Carol’s, than to Toes and Fosters, but no one good was there, so went to Pearl’s and cut out name tags for the Saffron Tea. Than we went back to Fosters and back again to Pearl’s to watch TV. 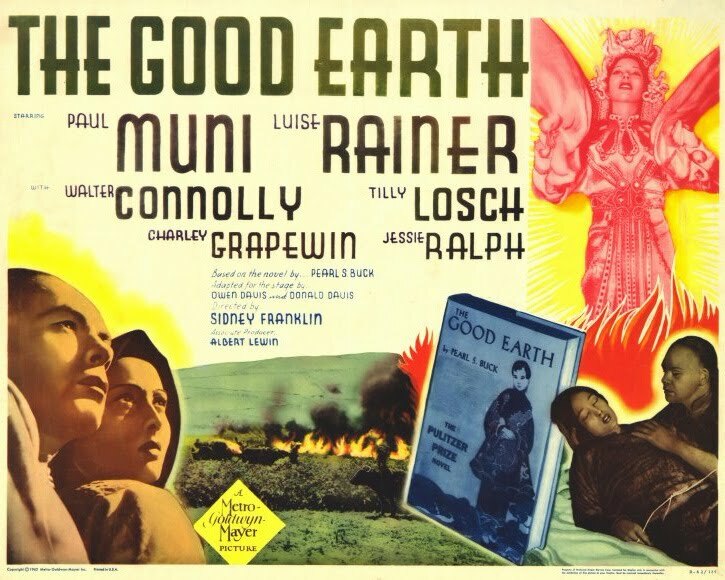 I stayed until 11:00 than went home and watched the “Good Earth”…so sad I cried. Still felt sick and ate to much, finally went to bed at 2:00. I often stayed up until 2:00 in the morning watching old movies. Everyone was asleep and the house was dark and quite. Sometimes I’d turn on the fireplace and watch them in the dark with a flickering fire. I cried when I watched sad movies, just like my dad. This movie was so painfully sad and yet a masterpiece as a book and a film. If you have never seen it be sure to catch it if you can. This entry was posted in 1960's Surf Culture, 1964 High School Diary, Chick Secrets, diary, Little Sisters, Maybelline Girl, memoir, REALITY BLOG, Southern California 1964, teenage reality blog and tagged 1937, Beach, Culver High School, Film, Fosters Freeze, Luise Rainer, Maybelline, Maybelline Story, Saffron Tea, Saffrons Rule, Sharrie Williams, shopping, Southern California, Surfer's Rule, teenagers, The Good Earth, Toes in Playa Del Rey, West Side Surfers, Westchester High School. Bookmark the permalink.